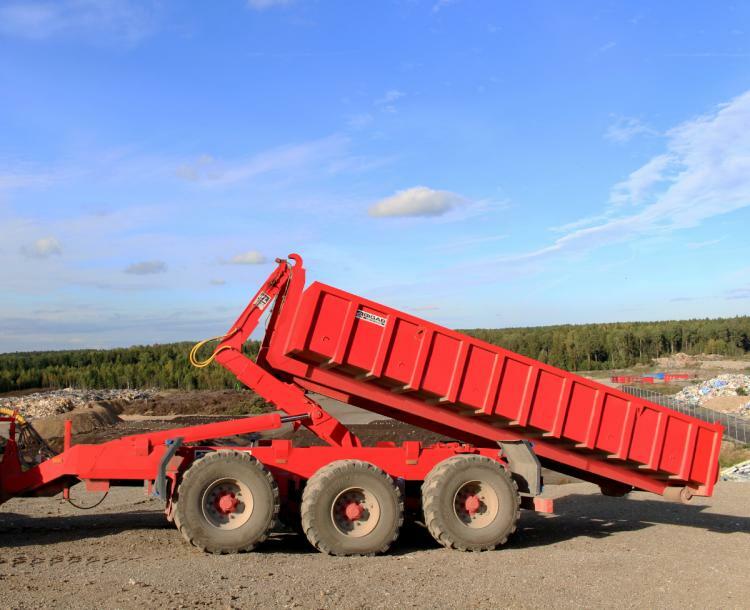 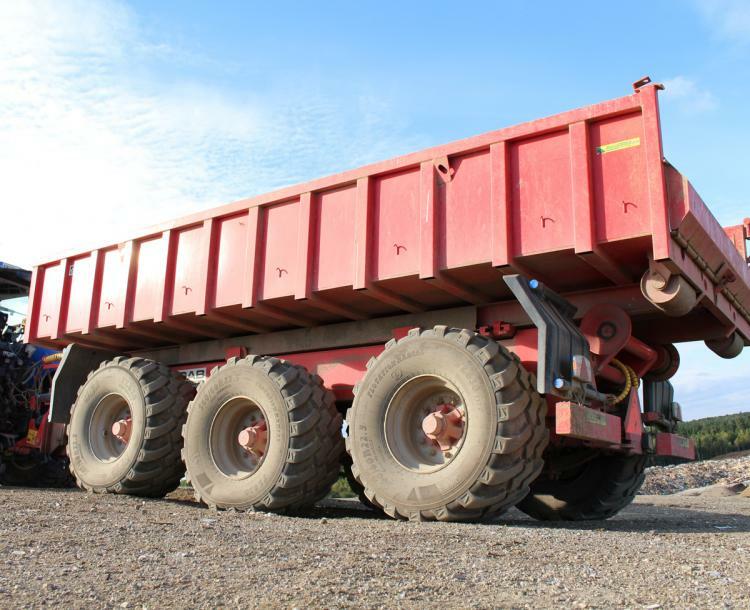 Are you in need of a larger trailer that can cope with continuous hard work but which treats loads carefully? 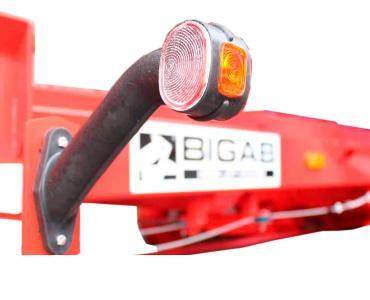 BIGAB 22–27 is perfect for you. 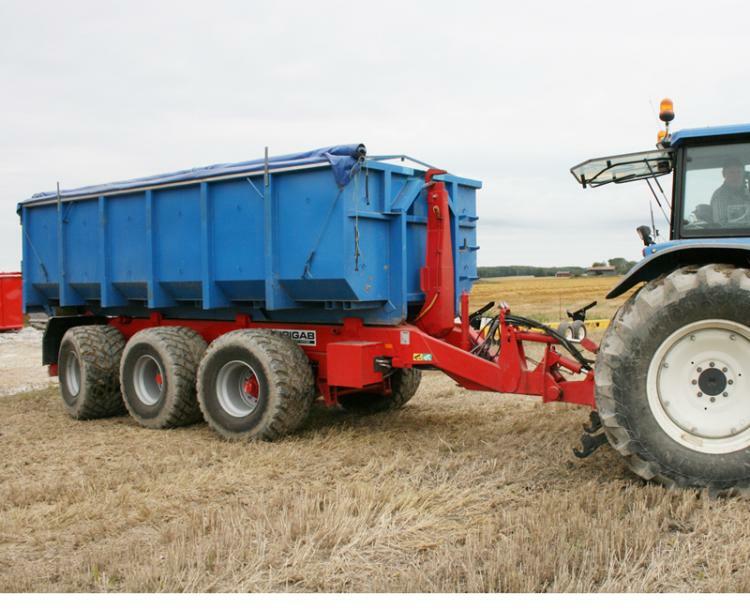 This is a trailer that can be driven on public roads fully loaded but which makes very little impression on sensitive ground. 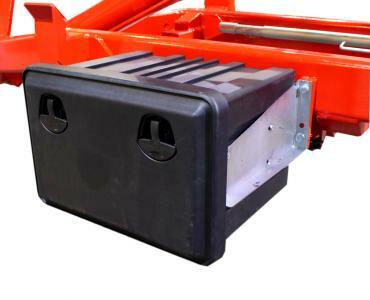 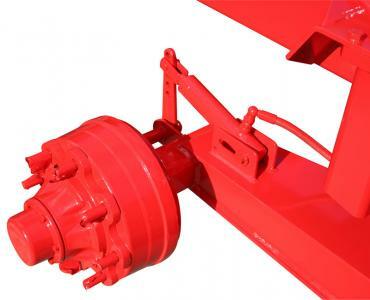 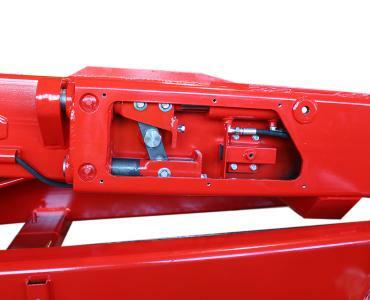 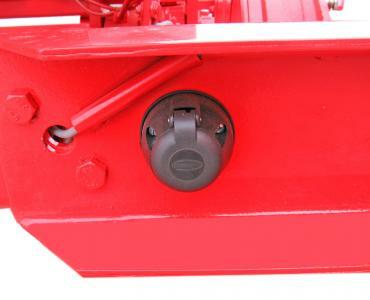 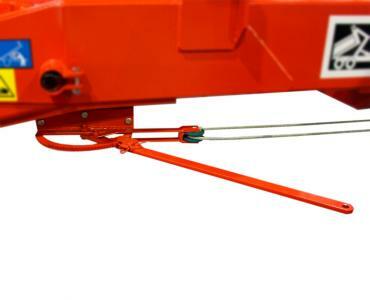 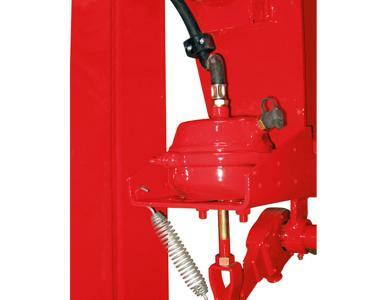 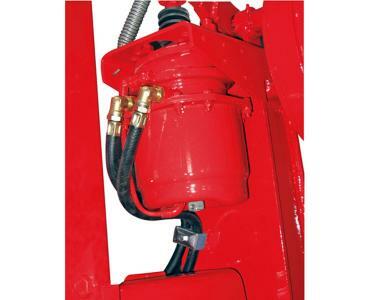 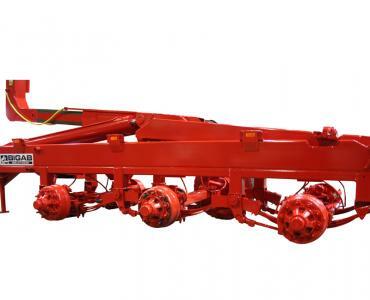 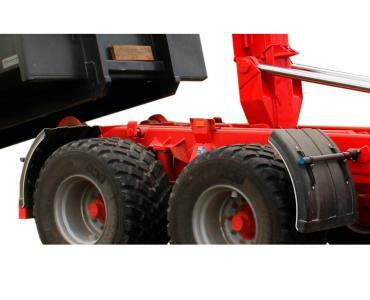 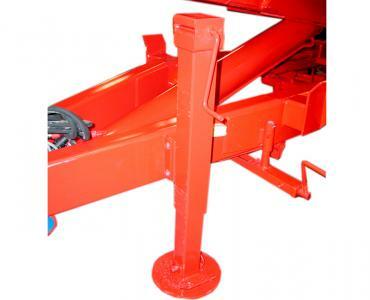 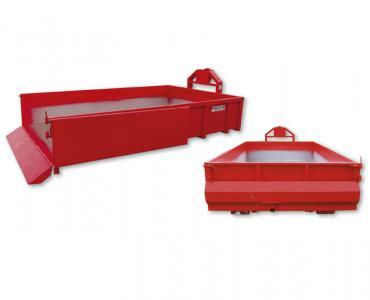 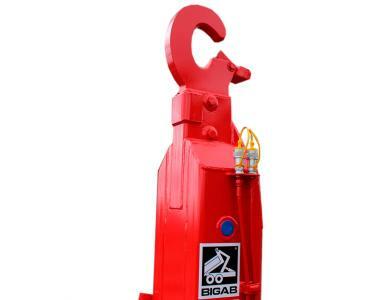 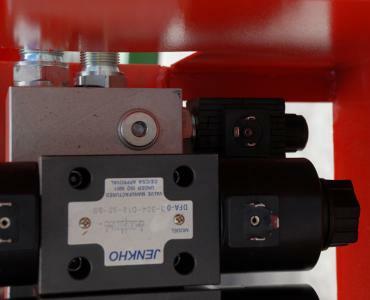 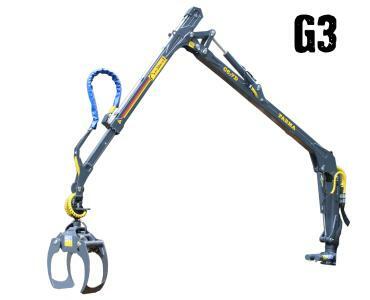 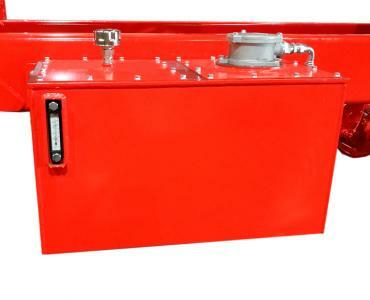 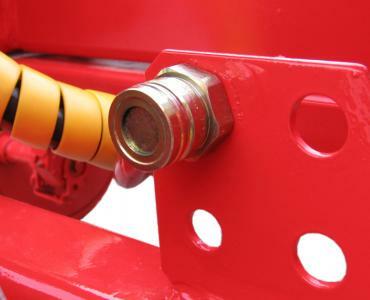 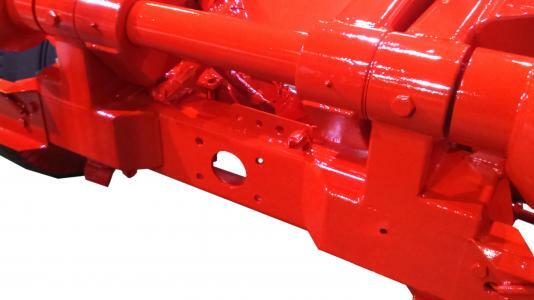 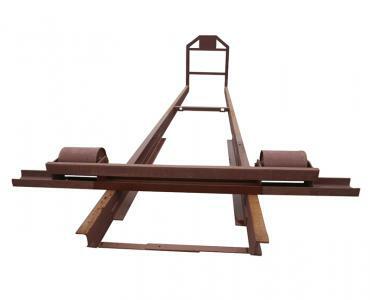 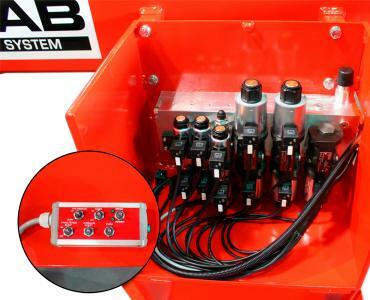 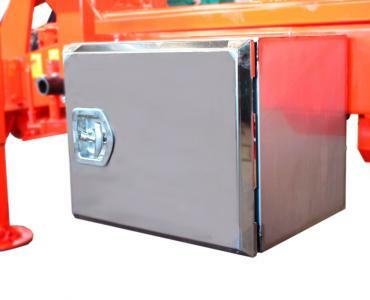 The drawbar attachment is hydraulically sprung with an accumulator. 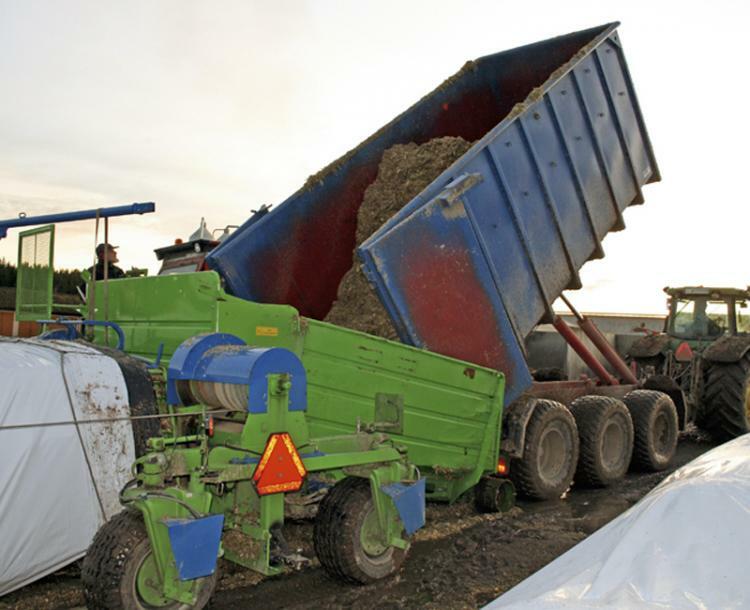 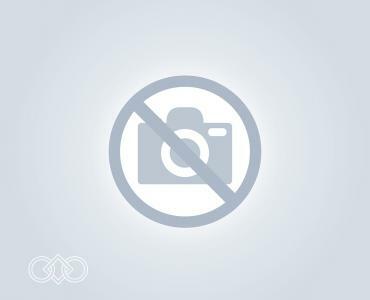 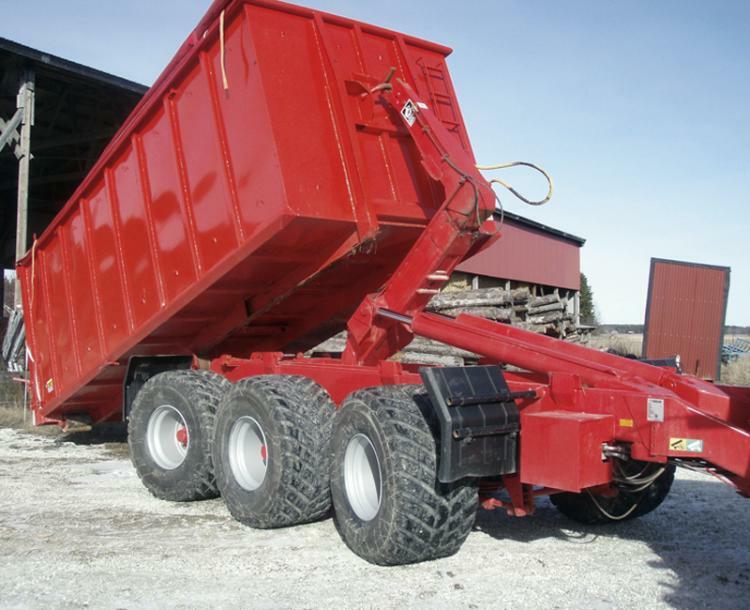 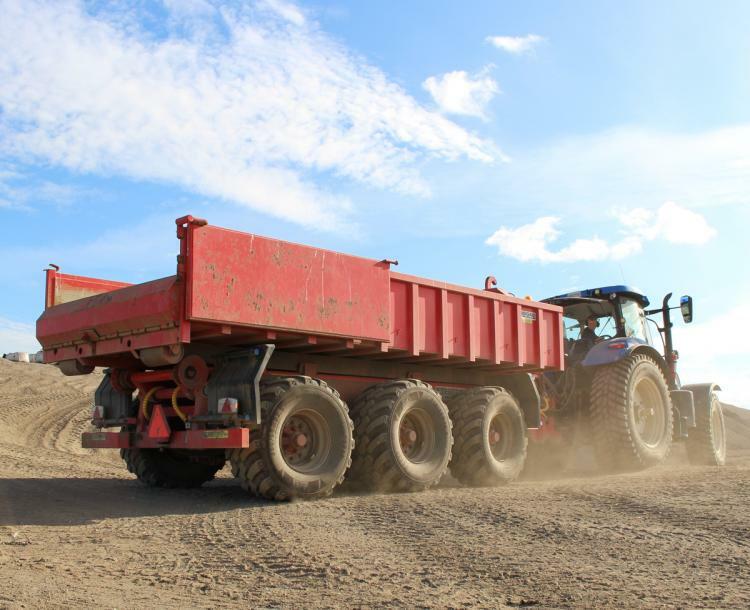 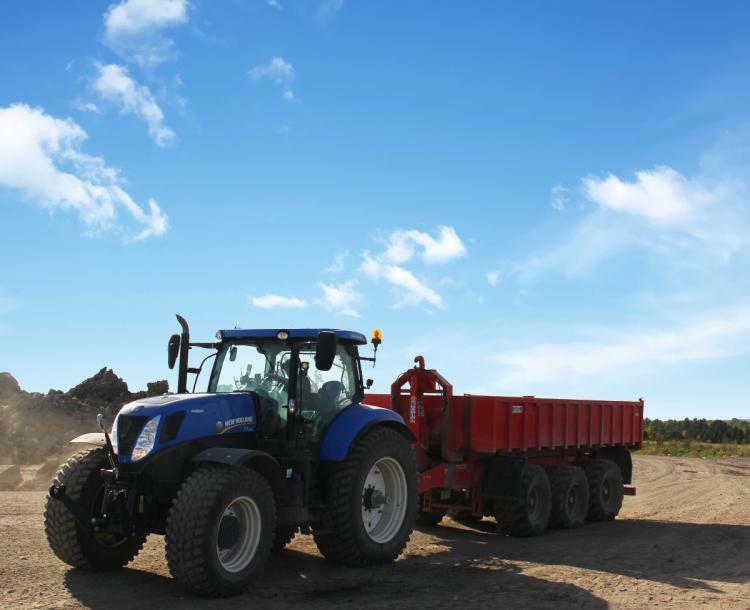 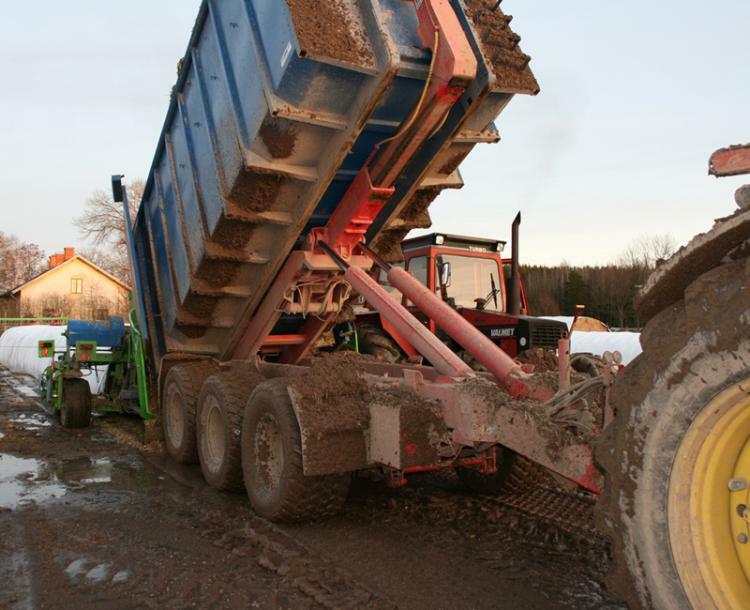 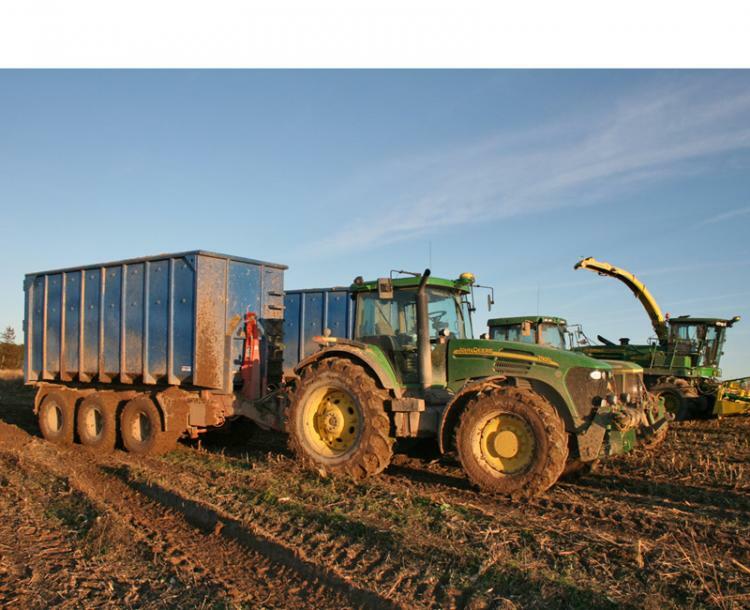 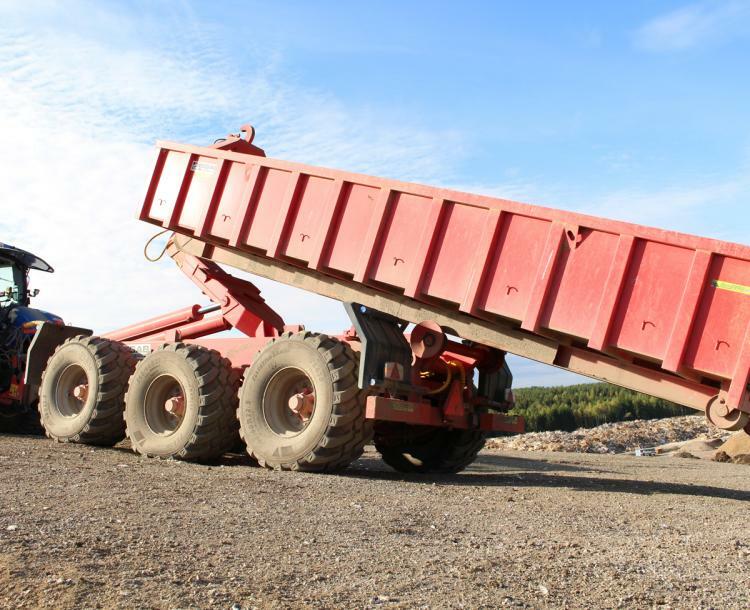 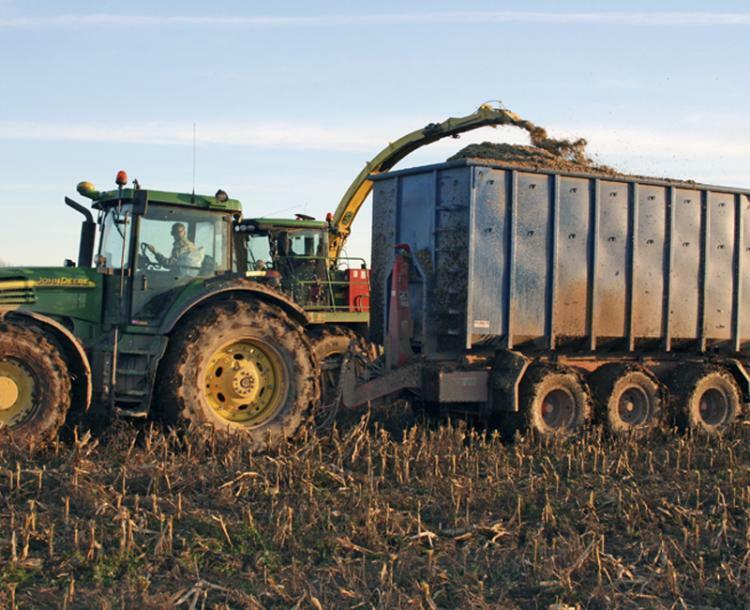 If necessary the load can be transferred from the trailer to the tractor’s drawbar. 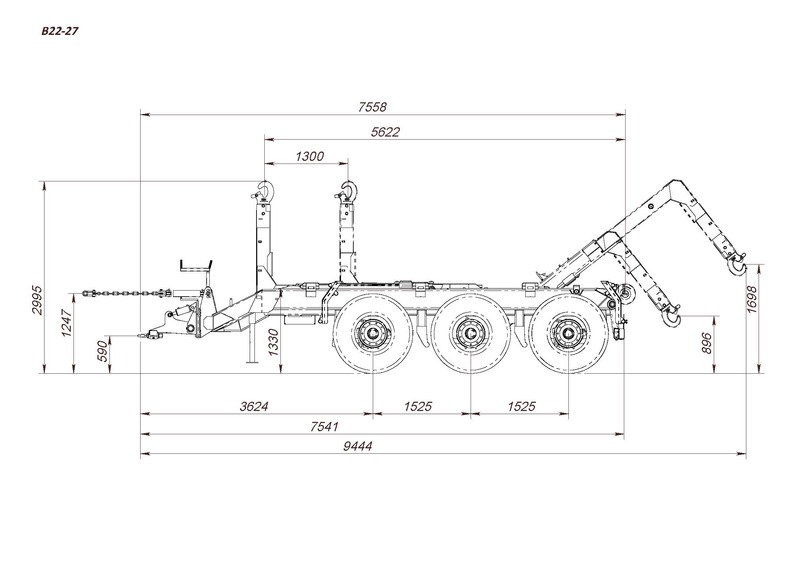 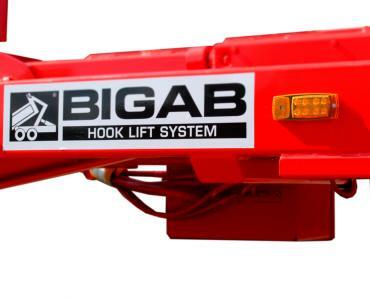 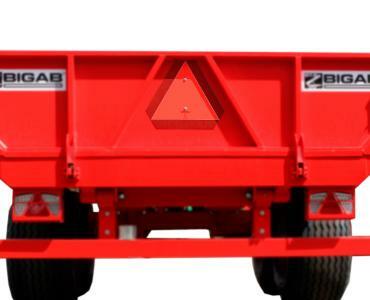 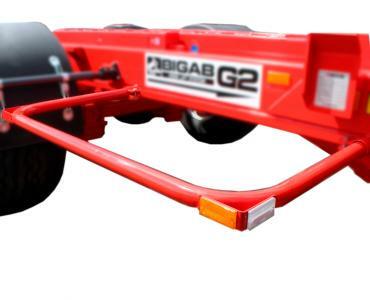 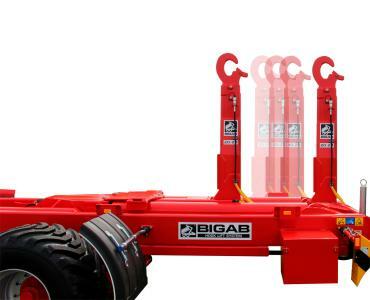 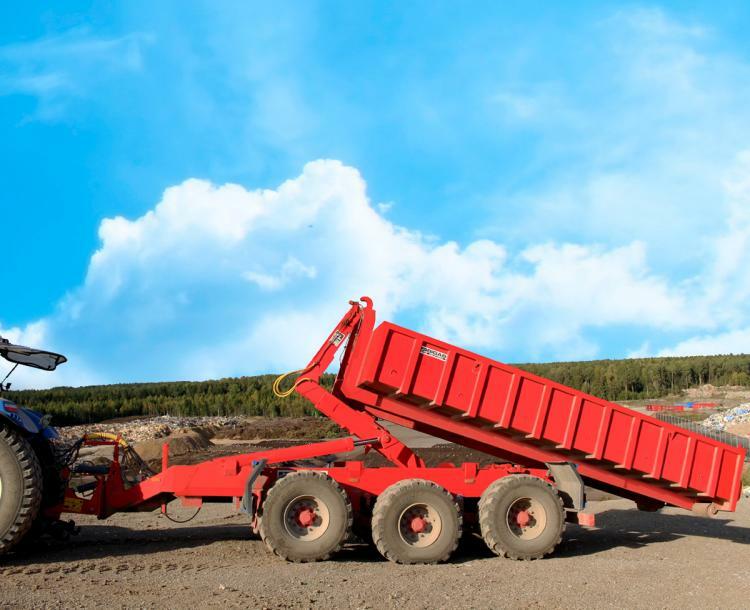 BIGAB 22-27 is well equipped as standard with, for example, sprung triple axles, with follow-steering/power-steering on the front and rear axles, which makes the unit extremely easy to manoeuvre both while towing and reversing. 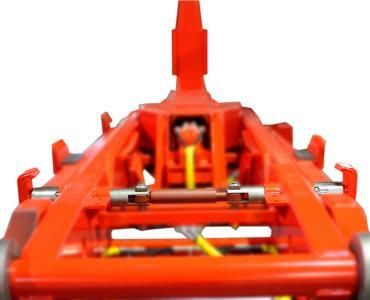 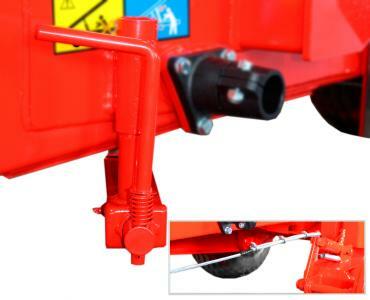 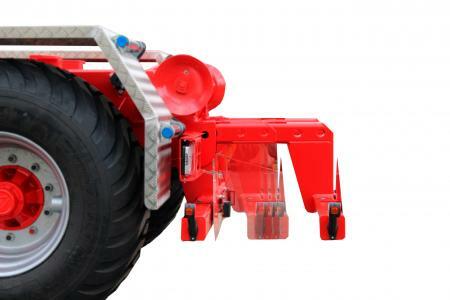 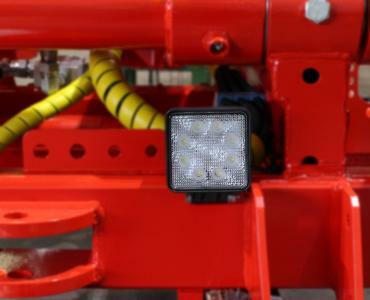 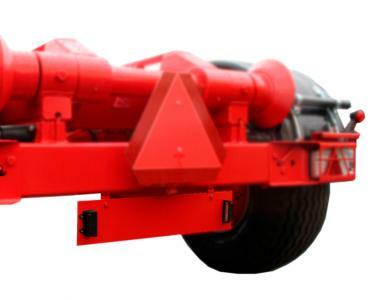 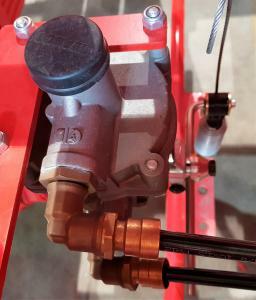 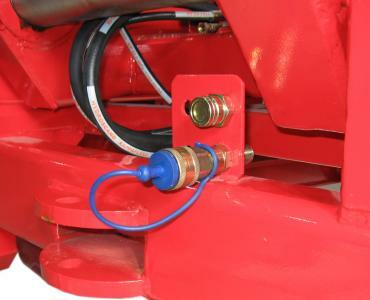 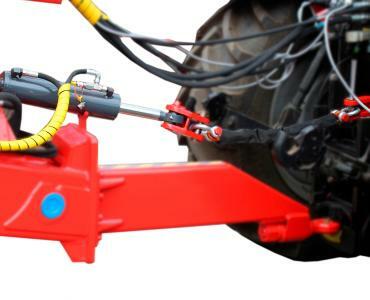 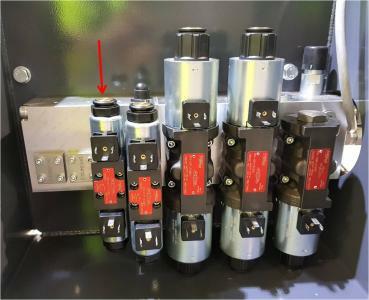 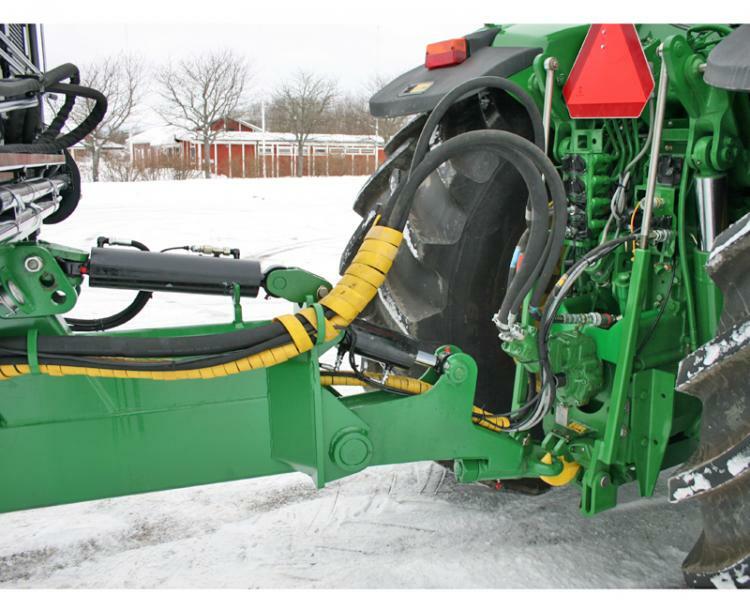 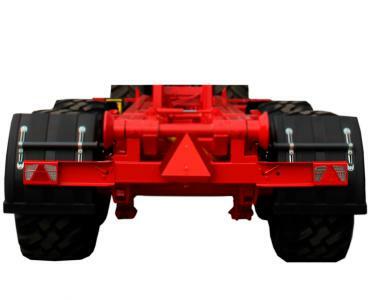 The steered axles are controlled from the tractor via a double-action outlet with floating position. 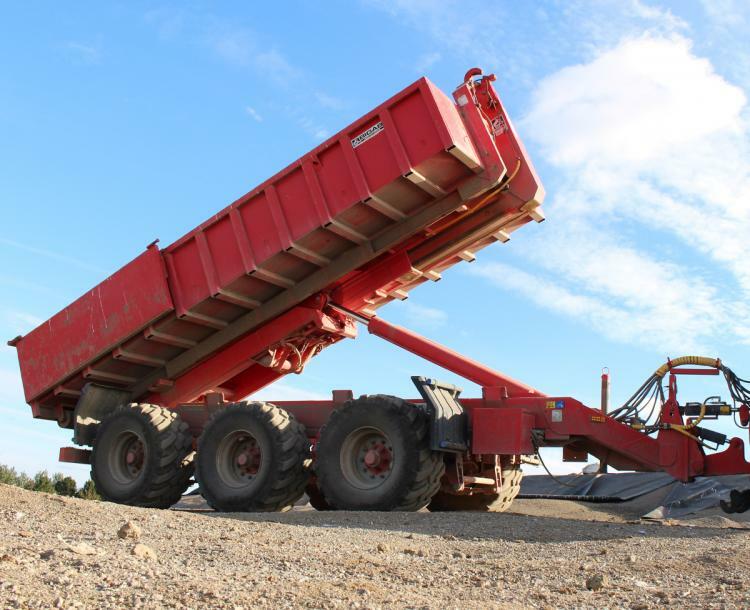 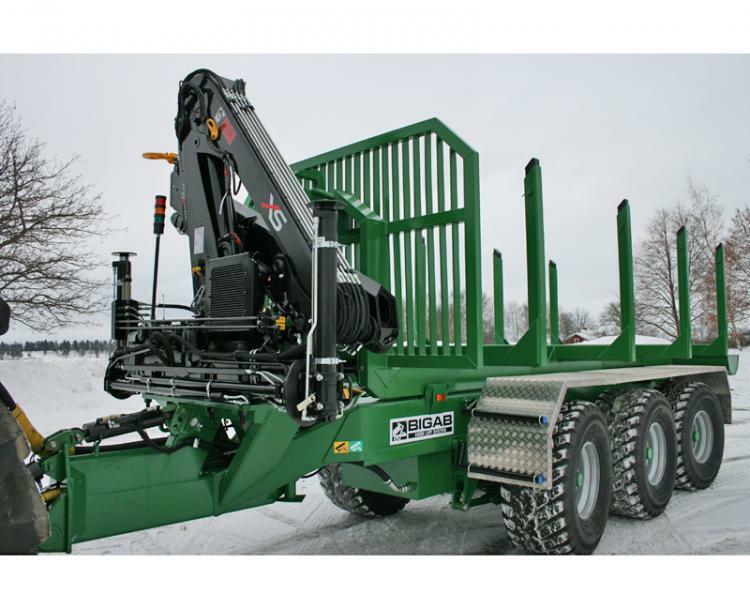 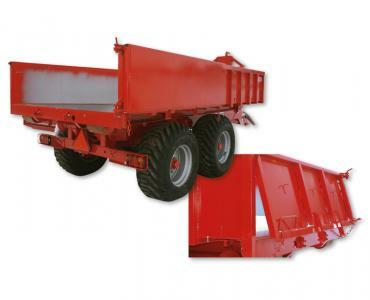 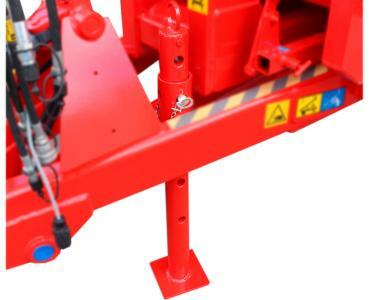 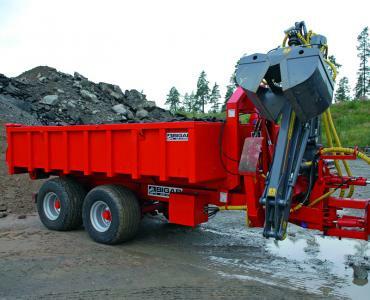 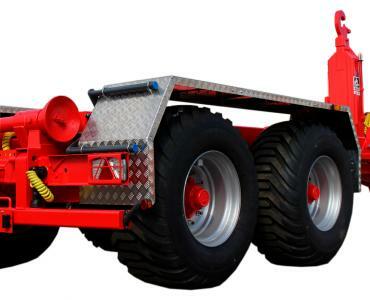 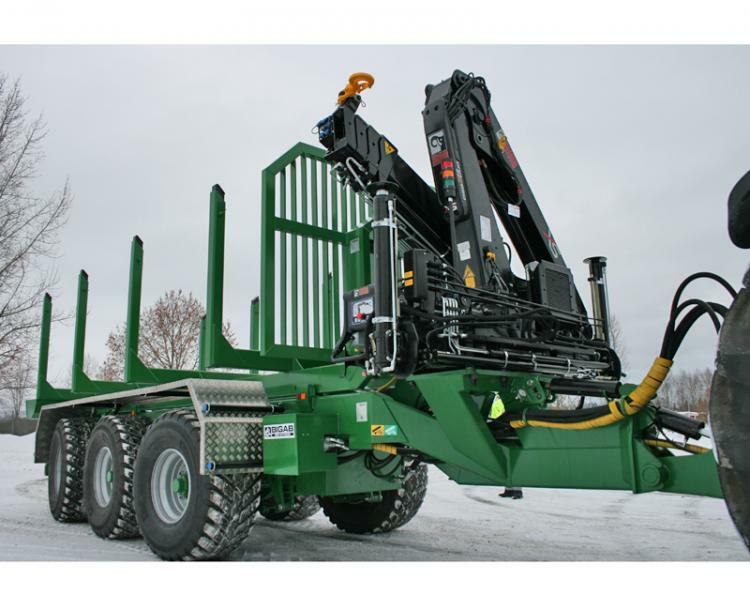 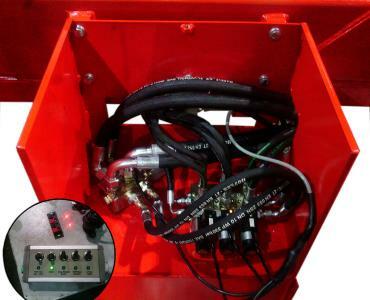 The trailer is also equipped with hydraulic control between tipping and exchange, hydraulic container lock, double-action outlet on the tower, load transfer cylinder to the tractor, front and rear half mudguards and electric control valve for the hydraulic functions (pressure and free return) with a control unit in the cab. 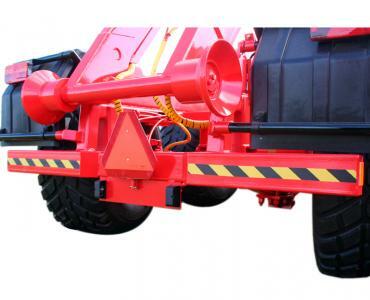 Comes standard equipped with 560/60-22,5 tyres. 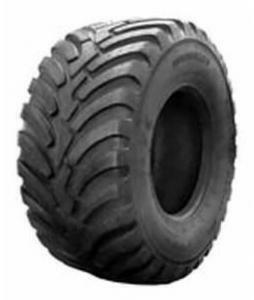 Tyre brand at manufacturer discretion unless advised.